Last week, I covered the meaning of blog focus and the benefits and reasons to narrow your blog’s focus by your writing style or content. As part of this ongoing series on Blog Struggles, today I want to cover how to find your blog focus, and tomorrow, how to change your blog’s focus. Your blogger perspective on the subject. 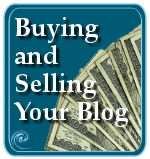 Your blog content often dictates your writing style, and your blogger personal. I can also reflect your perspective on the subject. So the clues lie within the blog’s content as to your blog’s focus. Let’s break this down into easier chunks. What Are Your Post Categories? Look at your blog post categories first. Write them down on a piece of paper, arrangement them by related subject matter. Your order may be different. 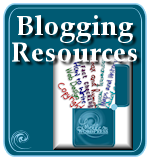 If you only have a few post categories, then check your post tags, such as your tag cloud, to get a list of your most blogged about subjects. At first glance, it appears that this blogger’s main interest would be in Entertainment and News, but this isn’t enough information to make a final decision. We need to know how many posts are in each category. This gives us a better sense of the blogger’s interest. If your blog’s category list features the number of posts written in each category, add it to your paper list. If it doesn’t, then check your WordPress Administration Panel Category panel to get a count of how many posts you’ve written in each category. If your blog has a post tag cloud, then “measure” the quantity of posts by the size of the tag. From this example, it’s clear the blogger has written more, thus is more interested in, on the subjects of Music, Videos, Censorship, and Tech News. Clearly, these are similar, but they are also distinctly different. More information is needed. Digging into each of the categories, I found that this blogger wrote mostly about music. The posts in the Videos category were mainly about music videos. 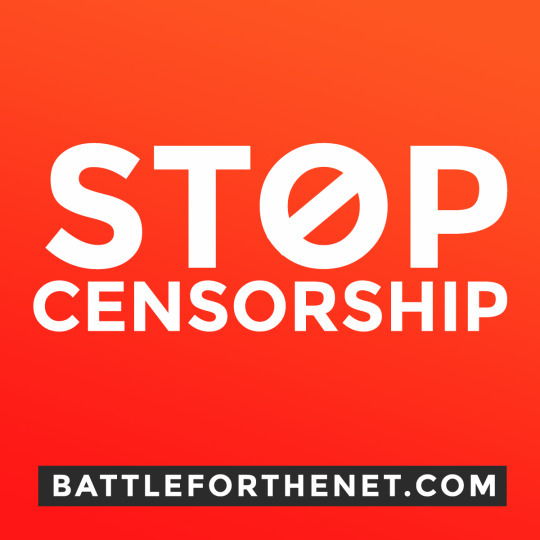 The posts on Censorship had to do with censoring music and artists. 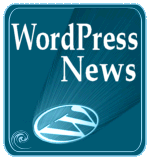 The tech news mostly covered digital music subjects such as editing, recording, playing, and MP3 technology. I dug even deeper and found that the posts under Travel had to do with going to see bands and music performances, as did the Events and Celebrities. Education was about teaching music and using music in schools. One post in Health was about losing your hearing due to exposure to loud music at an early age. Even the Science category of posts dealt with musical subjects, including anthropological research into music styles throughout history. 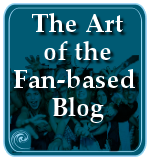 While the blogger didn’t know it, he was already blogging on a narrow subject, music, even though he swore he had no idea what his blog was about. What can analyzing your blog categories and post topics tell you about your blog’s content and focus? Can’t Find Your Blog Focus or Passion? If you cannot find your blog focus or passion – and you are still clueless as to how focus your blog, blog what you know. Blog what you are an expert in. I don’t believe it when people say “I don’t know anything”. That’s crap. We all know something. We all got here somehow, someway, and learned a few things along the way. Things we wanted to learn, and things we didn’t, but something kept us going until we reached this point. Look at all of those things, tasks, skills, abilities, and techniques, and pick one to three of them. Do they feel right? Could you talk about them non-stop for the next three years? If not, keep looking. What gets you excited? What do you look forward to? What inspires your muse? Inspires you? Motivates you? What do you keep repeating over and over again in your life? Or in your day? I asked this of one client who told me that all he thinks about all day is going home and going to sleep. He can’t wait to hit the bed. As we talked, he started to describe his bed, the mattress, the sheets, the feel of the pillow, and then the way he set himself up at night to relax, let go of the day, and just close his eyes and drift off, no responsibilities, no pain, just relaxing for the only moment that day. You can blog about anything, however, it is best to blog about what you are passionate about. I believe that our passion, the driving artistic, creative, and energy force within us, is natural. We can spend a lifetime ignoring, restricting, and abusing ourselves to deny our passion, but we do it nonetheless. We can’t help it. As shown in the example of this blogger, he was blogging about what he enjoyed. As he evaluated his blog content from this new perspective, he realized that it wasn’t about listening to the music, but how music made you want to listen. How it made you feel. How it moved you, entertained you, taught you. Within two months of us narrowing down his blog topics and putting his focus totally on music, he realized that his career in accounting, already into his second year of study at the university, was not his chosen path. He switched his major to music, having already taken music courses for fun, and set his sights on becoming a music teacher at the least, and a music producer and director at the most. His blog changed accordingly. Her site, The Giving Hands, is a campaign blog, campaigning for the rights, resources, and help those who can’t ask deserve. She discovered her passion was for charity, for helping those in need, and for making a difference in the world around her. I believe that with time, we will automatically start leaning towards our favorite content naturally. You can’t help it. That’s what holds your interest, and keeps you coming back for more. Your blog will unconsciously show you where your passion lies, if you open yourself up to the possibility and are willing to look. Tomorrow, I’ll continue with this topic of blog focus in the ongoing series on Blog Struggles. Now, test your blog to see if you are already exposing your passion to the world without noticing it. 20 Answers to the Question: What Does It Take to Blog? I Love Your List! I’m Going To Copy It! 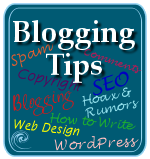 This entry was written by Lorelle VanFossen and posted on October 22, 2007 at 4:30 am and filed under blogging tips, Writing. Bookmark the permalink. Follow any comments here with the RSS feed for this post. Post a comment or leave a trackback: Trackback URL. Great article, Lorelle! Working from the categories and the content is very smart. Pelf is a an online friend of mine and she is a wonderful example with her Giving Hands blog. Not only does this create great blogging, but this is the kind of thing that actually changes the world for the better. Now, Lorelle, does that mean that I have “found my blog focus”? It’s true that I enjoy raising and spreading awareness on issues that need our attention and all that.. That was why Giving Hands was born in the first place. But I can’t seem to find a focus for my personal blog. If I could describe it (my personal blog), I’d like it to be more personal, more “me”.. In fact, I’ve been trying to bring that out, though I’m not very sure whether it shows.. If your personal blog is about “pelf the person”, the “pelf” is your blog’s focus. This isn’t rocket science. Your blog focus can be you, your hobby, your favorite cat, your blogging voice, your blogging style, the topics you cover, whatever it is that comes into focus on your blog. Imagine looking at your blog with an out of focus camera lens. Then you sharpen the image into focus. What do readers see? What they see is what they expect from your blog. If you are meeting those expectations, and they are returning for more, that’s your blog’s focus. Finding a blog focus really is tough — and so is finding a title, once you find that focus. My blog was an outgrowth of my Web site, which was originally posted to connect with my weekly newspaper column readers and to help sell copies of my column collection. 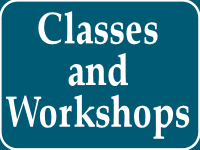 Now that I am not writing that Sunday column for the paper, my blog now serves as a place to run weekly essays and connect with students in my writing workshops. I guess you can say my focused “morphed” — and I am finally finding my niche as a blogger for people who love to write. Thanks so much for this series… I’ve really wanting to be doing a “better” job blogging, and I wasn’t feeling the blog love. You’ve really hit the nail on the head for me, regarding finding focus. Thank you, thank you! I loose focus and inspiration on my niche, newborn photography. I have immense passion for what I do, I just feel like my writing lacks something. I do like the idea of combining categories. That’s probably where I should start. Thanks for the tip! Thank you. I hope that’s a good place to start.